Sardegna Arena will host Sunday’s football game between Cagliari and SPAL. Cagliari aim to bounce back from a 2-0 loss to Juventus and a win over SPAL will see them move away from the danger zone in the Serie A standings. 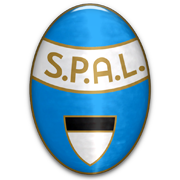 The Sardinians continue with their habit of producing much better showings at home than on the travels, but SPAL should not be written off just yet. The visitors proved their worth in a hard-fought 1-0 win over Lazio, with the team extending their winning run in the national championship to three games. Leonardo Semplici’s men are eyeing their third consecutive clean sheet in the Italian top flight and given the importance of the game for the visitors, we are positive that they are going to hold Cagliari to a draw at Sardegna Arena. In their last meeting in the Serie A the two teams played out a 2-2 draw. Joao Pedro played for Atletico Mineiro during his youth career and he made no less than 11 appearances for the club at senior level. The Brazilian footballer, who was born on 9 March, 1992 in Ipatinga, signed a deal with Palermo on 30 August, 2010 and he made his debut for the Sicilian outfit in the Serie A on 17 January, 2011. He came as a substitute to replace Josip Ilicic in a 3-1 defeat to Cagliari. On 29 January, 2011 he joined Vitoria Guimaraes on loan and on 19 August he was loaned to Penarol of Uruguay. After ending his loan spell with the Uruguayan team, the Brazilian midfielder joined Santos and he played 10 games for the Brazilian team. On 1 July he signed a contract with Estoril and he moved to Cagliari at the end of the season. Joao Pedro has 11 caps for Brazil U17 and he scored one goal for the national team.